Sorrow Lovegood hasn't been back to Vermont since she left at eight years old after the death of her older sister, Patience. Sorrow comes from a long line of independent women who have been labeled as witches due to their connection with their orchard and an age old feud with their neighbors, The Abrams. Sorrow's has spent her time since leaving Vermont living with her father and stepmother in Miami, Florida. She has repressed her memories of the winter Patience died, but she realizes that its time to face the past. She heads back to Vermont to spend time with her mother and grandmother. Upon her return to Abrams Valley, Vermont, Sorrow finds the feud between the Lovegoods and the Abrams is still going, but the violence of the past has subsided a bit into a blanket of tension and hurt feelings. Sorrow doesn't want to be known as nothing more than one of those odd Lovegood girls, but she can't seem to shake that reputation. Her arrival in town shakes things up and her desire to know more about her sister's death will lead to the past coming to light. The truth behind the tragedy will rock Sorrow's foundation and force her to decide which path she needs to follow for herself. The novel unfolds in a unique narrative structure. Sorrow's segments alternate between the current time and eight years in the past. There are also numerous smaller chapters that focus on various Lovegood women throughout history to provide more details on the feud. The historical components were often difficult to read as the Lovegood women had experienced so much loss and discrimination. Part magical realism and part contemporary, The Memory Trees focuses on serious issues such as mental illness and bullying. 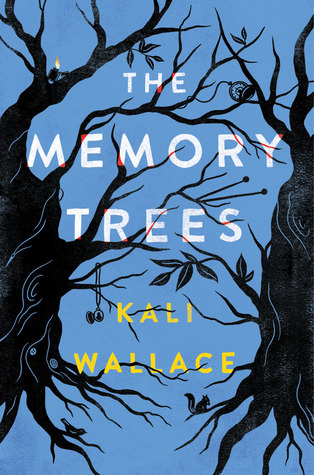 Kali Wallace has created a sweeping novel full of beautiful language, heartbreak, and family secrets. I found myself walking alongside Sorrow as she spent time in the orchard. I could see the landscape of Abrams Valley and feel each hurt in the family feud resonate. I completely lost myself in this world and reveled in each chapter. It took me awhile to finish this one due to a hectic work schedule, but I looked forward to piecing together another piece of the Lovegood puzzle each evening. One Last Gripe: I wish the ending had been more concrete. Favorite Thing About This Book: I enjoyed the narrative style. First Sentence: Beyond the window the morning was bright and glittering, the sky a breathless blue, and the hotels on Miami Beach jutted like broken teeth across the water, but all Sorrow could see was the orchard.